We are dedicated to the pursuit of excellence, every craft is a purely handmade artwork, each sculpture may have slightly differences in shape and weight. However, that’s also what makes every sculpture a unique artwork. This entry was posted on March 20, 2017, in Glass. This entry was posted on March 20, 2017, in Jewelry. 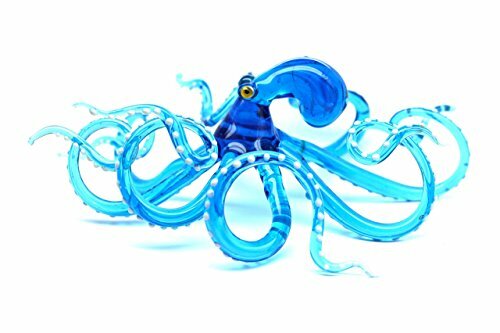 Handcrafted from multiple layers of hot molten glass. 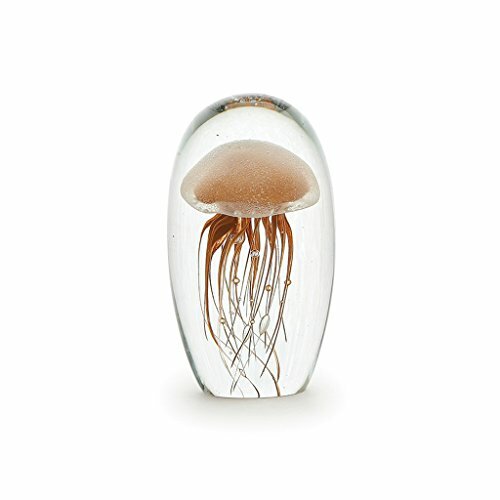 Inspired by the ocean, this blown glass jellyfish sculpture is popular for its free floating and ethereal qualities. After absorbing some light, the jellyfish will continue to impress as it glows in the dark! Glows in the Dark after being exposed to light! Includes a microfiber pouch and a black two piece gift box with satin lining. Works great as night light with LED light base accessory (sold separately). The Original Glow In the Dark Jellyfish Paperweight from Dynasty Gallery! 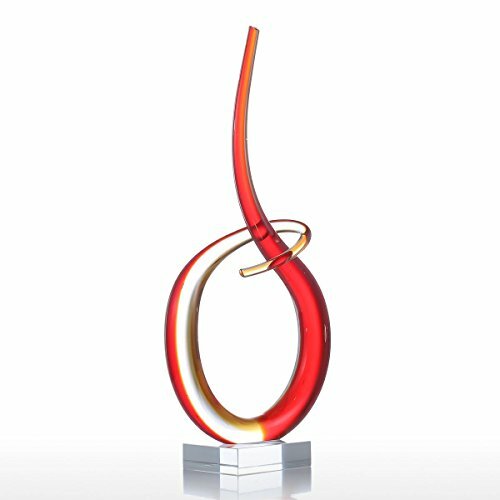 This is an elegant shaped glass sculpture. 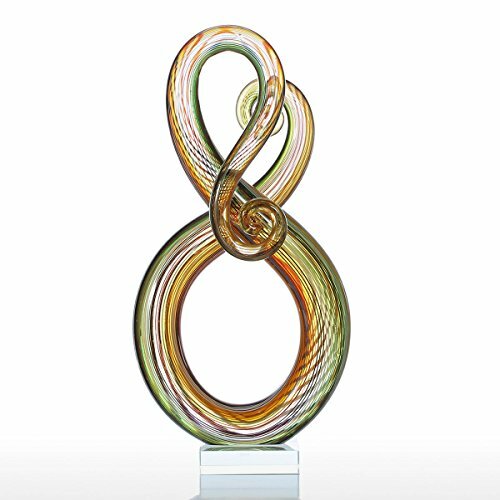 The sculpture is hand-blown and made by the experienced craftsman. It is more than merely a glass sculpture, it is a piece of delicate artwork. The sculpturehaselegant and fashionable model, full of artistic attractiveness. Suitable for living room, study room, bedroom and other interior space decoration. Hand-blown by the artist, each one has slightly difference. Complex crafting process, delicate craftsmanship. The surface is smooth and the glass is transparent, colorful and beautiful. Colorful appearance, cute and attractive. Hand-blown glass, each has slightly difference. Suitable for interior space decoration: living room. study room, bedroom, etc. This entry was posted on March 20, 2017, in Prints. With 2 sizes for your wrist, small is about 5.9″-8.6″ and large about 6.5″-9.0″. 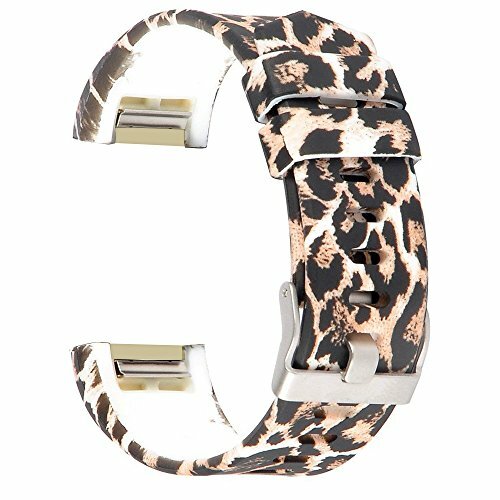 As great alternative wristbands, it can decorate Fitbit Charge 2,making them in vogue. We provide them with 10 plain colors, black, teal, plum, blue, white, gray, pink, tangerine, blush pink and coffee. And now our team is trying to get more colors and designs. Will come soon! RedTaro is a registered trademark. If you have any question, please feel free to contact us. We’ll try our best to solve it quickly and efficiently! Guarantee – Bands for Fitbit Charge 2 come with 30-day money back guarantee and quick great service. 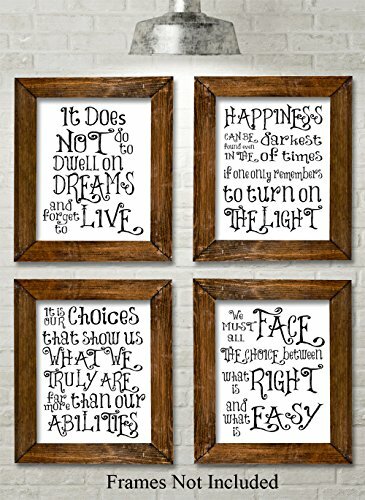 Bring the magic of Harry Potter into your household. These four prints show minimalist artwork as imagined by award winning artist Norm Lanier. This entry was posted on March 20, 2017, in Sculptures. Simply peel, stick, decorate and enjoy. 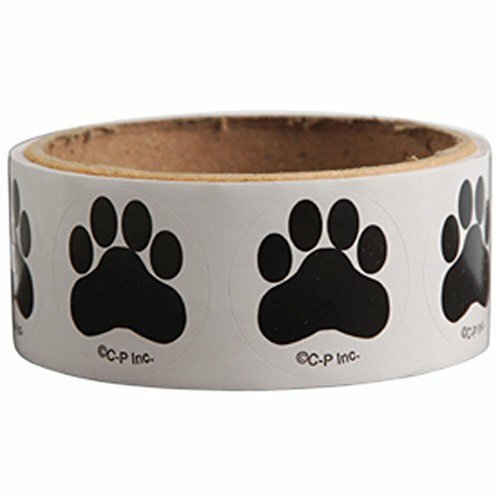 Use these paw print stickers to decorate a scrapbook, greeting card, picture and more. Stickers are great for arts and crafts projects or to hand out as prizes for school or church carnivals. Lot of 100. 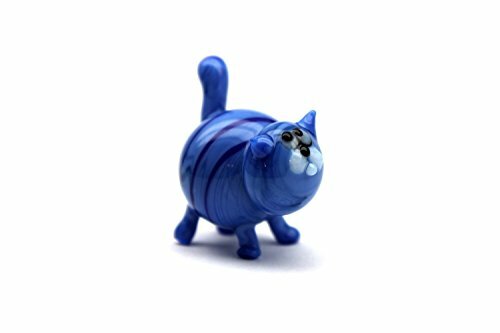 These ever popular hand painted hanging glass figurines make beautiful sun catchers and are sold in assorted color combinations of greens, blues, purples, pink and magenta. 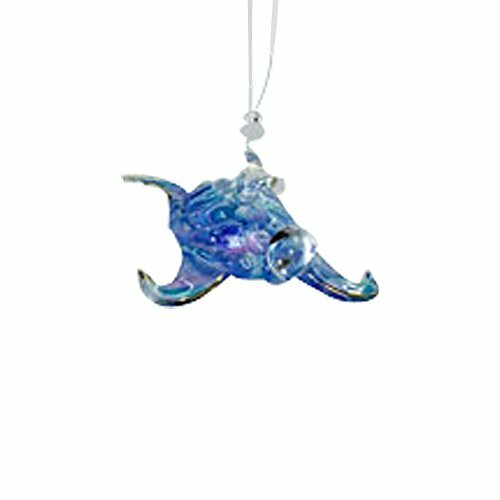 Hand painted hanging glass figurines make beautiful sun catchers and are sold in assorted color combinations. 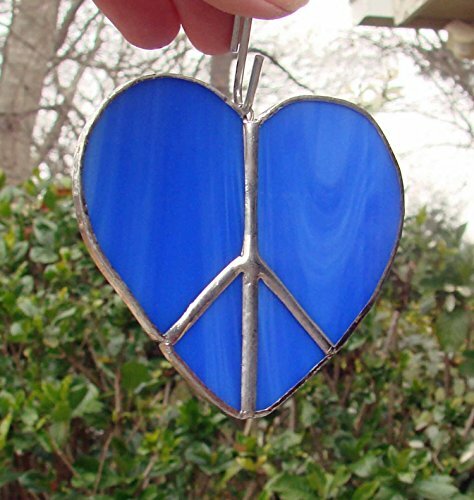 This small cobalt blue peace sign can be used as an ornament or a sun catcher, or both. I handcrafted this sun catcher from a cobalt blue glass that has a few wisps of white running through it. I have several of these in stock and while they are very similar and all from the same type of glass they are not identical.